Thank you for visiting Maldivesbest. Here we offer the finest Maldives resorts for your dream holidays. We are locals with extensive resort experience. 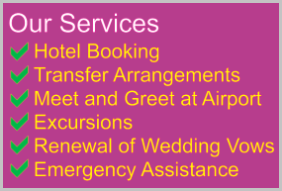 Based in the capital of Maldives, we offer all kinds of holiday related services with out standing customer service and reliability. We take care of everything about your holiday. Do you like our service? Often said as made by nature, Maldives is a product of nature. The beauty lies everywhere. Islands of different shapes and sizes offer you a unique taste in every place. Sometimes the islands are inter-connected through shallow water in the lagoon. Natural vegetation is different from island to island. So are the house reefs and their inhabitants. If you are journeying through Maldives you will come across multiple spots where you hold your breath. Especially when you feel it the best you have ever experienced. As you move on, you will see several best spots in the Maldives, be it an island or a reef to dive. Best is a very personal word when you apply to Maldives. We, having born and rised in Maldives, it is often difficult to single out the best island or best reef in Maldives. We often say one of the best while recommending a resort. You may want to check out these Maldives resorts (with photos) and you can select the one you like for further research. Every resort comes with a picture that you can enlarge. You can also use keyboard arrows for easy navitation. Maldives Resort Ranking shows best resorts based on guest reviews, most are luxury resorts. There is a ranking for 4 star resorts which show the top 10. Hope this helps. We are a team of experienced locals. Prior to starting Maldives Best, we spent years working at different resorts. And here we share our experience to help you get the best holiday in Maldives. We offer free recommendation and advice. In future we will launch some unique services that are not currently available in the Maldives. We have one aim, give you the best holiday in Maldives.